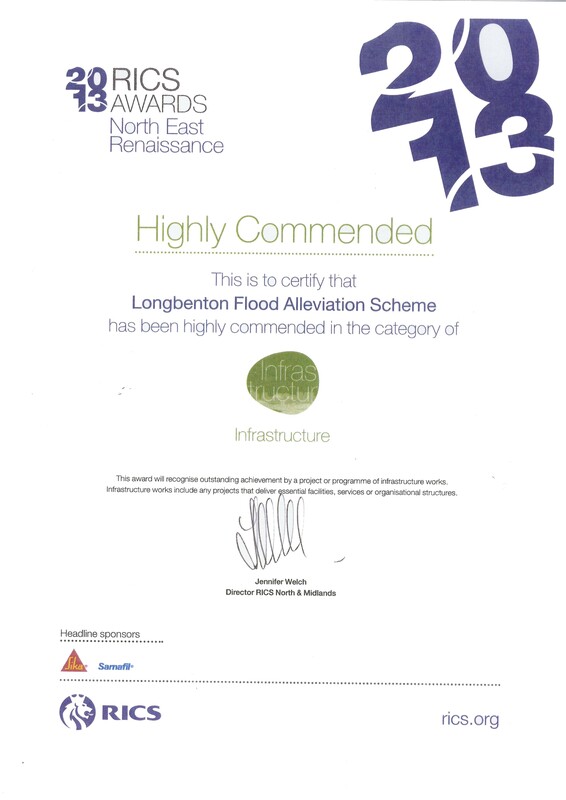 Seymour were delighted to receive a “Highly Commended Award” in the Infrastructure category at the prestigious RICS Renaissance Awards 2013 for the Longbenton Flood Alleviation Scheme in Newcastle for Northumbrian Water. 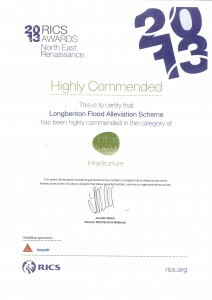 The scheme was designed to reduce flooding to 80 properties in the Longbenton / Forrest Hall area. This required extensive modification to the existing sewer network involving excavations adjacent to houses, schools, local businesses and a Health Centre. The success of the project was ensured by proactive stakeholder management and a very close working relationship formed between, Seymour Civil Engineering, Northumbrian Water and the designer MWH.